Decades ago, TVs used to cost hundreds of dollars for the smallest set. Back then, hundreds meant thousands of dollars in modern currency. Even when HD TVs first came out they cost well into the thousands for a small 16 inch TV. It's crazy to think that TVs that are tremendously better than both of those examples now cost less than they did! Since there are so many options to check out, we wanted to give you our list of the best 65 inch TVs under 1500 dollars. You might think that any 65 inch TV would be the same, regardless of the brand or model. Unfortunately, that couldn't be further from the truth. A lot of people fall for the idea that just because it's the right size and definition means that they're getting the same quality and choices as other brands. Even two TVs made by the same company can have drastically different settings, remotes, capabilities, and more. 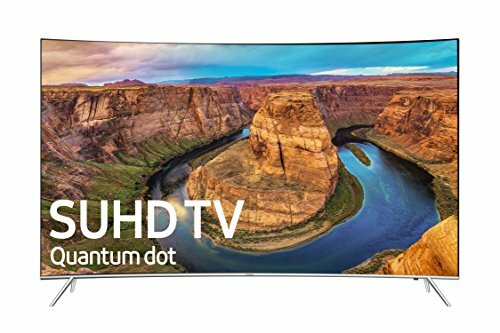 What to look for in a 65 Inch 4K TV Under $1500? 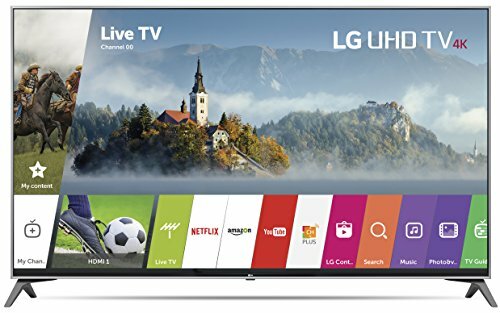 Best value 65 Inch 4K TV Under $1500? We don't mean to make this even more confusing than it already is, so we set out to find the best 65 inch 4k TVs for you. We also understand that not everyone has several thousands of dollars to spend on a TV, so we found the best models under 1500 dollars. Got more to spend? Check out these 65" 4K TVs under $2000. Samsung is one of the most trusted brands in providing quality products around. This model saves much more energy and money than almost all of the competition. The OneRemote that comes with this TV controls everything that your TV uses. This TV comes with 5 HDMI ports and 1 USB port for all the connections you could need. It's also a Smart TV, which allows you to access the internet and many website apps. The VIZIO M65-C1 is ultra-thin, so you can put it virtually anywhere without being in the way. The Quantum Dot Color Drive helps distinguish colors like never before. The Triple Black Technology feature allows the viewer to see the true depth of all blacks. The ultra-thin display allows you to place this TV anywhere without causing a fuss. Through researching all kinds of articles, reviews, and more, we found some pretty high-quality devices that we're certain you'll love to have in your home. Samsung Electronics is well-known for producing some of the most well-respected and purchased products in the world. 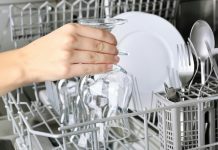 Their products range from TVs to cell phones to refrigerators and more, so they really know what they're doing! Another thing that Samsung is very well-known for is their energy savings. 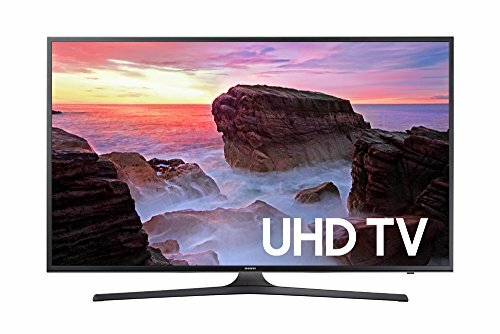 They've always been working hard to provide energy-efficient TVs, and the Samsung Electronics UN65MU6300 65 inch 4K TV is a great example. It saves over 3 times the amount of energy of a normal 65 inch TV. This model, in particular, comes with a pretty nifty remote known as the OneRemote. The OneRemote controls everything that has to do with your TV, including the DVD player, the TV itself, the satellite dish, and more! + Samsung is one of the most trusted brands in providing quality products around. + This model saves much more energy and money than almost all of the competition. + The OneRemote that comes with this TV controls everything that your TV uses. 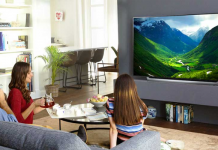 Why We Liked It - We liked the Samsung Electronics UN65MU6300 4K TV because it's incredibly energy efficient and comes with a remote that lets you get rid of all the excess remotes lying around. Got a stricter budget? Check out these 65" 4K TVs under 1000 dollars. VIZIO is another great brand for energy efficient TVs. Their VIZIO M65-C1 model is one of the most purchased 65" 4K TVs around because it offers many unique features that a lot of other brands neglect to address. The problem with a lot of other TV models is that they don't have enough compatibility ports. However, the VIZIO M65-C1 has 5 HDMI ports and it even comes with a USB port. USB ports are great for many reasons, like allowing you to use a mouse with your television set. Another great feature of this model is the fact that it's a Smart TV, which opens up a whole new world of television viewing. You can watch YouTube, Netflix, and many other internet applications. You can even search the web! + This TV comes with 5 HDMI ports and 1 USB port for all the connections you could need. + It's also a Smart TV, which allows you to access the internet and many website apps. + The VIZIO M65-C1 is ultra-thin, so you can put it virtually anywhere without being in the way. Why We Liked It - We love this TV because it's rare to find a new one with all the extra ports. Most newer models only have a couple of HDMI ports, and very rarely do they have a USB port. If you're crazy for colors on a TV like we are, then you'll love the Samsung UN65KS8000 TV. It has all kinds of unique and futuristic technological advancements that help boost colors to a rich and vibrant level that most other TVs can't achieve. For starters, they use a Quantum Dot Color Drive that helps bolster colors and make them pop much more than the competition. The reds are much redder, and the blues are bluer. It's a must see to believe the type of technology! They also have a feature called Triple Black Technology that makes the black colors on your TV have a bigger variety. Where most TVs simply show black, this TV shows three different shades of black to give a much more realistic color spectrum. + The Quantum Dot Color Drive helps distinguish colors like never before. + The Triple Black Technology feature allows the viewer to see the true depth of all blacks. + The ultra-thin display allows you to place this TV anywhere without causing a fuss. Why We Liked It - We like this TV because it's made for the viewer. It shows all kinds of unbelievable color depth that we previously thought would never be possible! The LG Electronics 65UJ7700 is the epitome of smart TVs. It offers all the special features included with these futuristic sets, including internet access and an allround user-friendly display to make the experience as smooth as possible. If you're worried about not having enough compatibility ports, this TV will shatter your expectations. It comes with 4 HDMI, 2 USB, 1 RF, 1 Component, 1 Composite, 1 Ethernet, and 1 Optical port. LG also focuses heavily on energy savings, which is why this TV is known to save more energy and money than almost any other 65" 4K TV on the market. It's time to stop paying over $100 a month just to use a TV! + Comes with all the compatibility ports that you could need to keep everything plugged in. + Incredibly energy efficient to save you from all the unnecessary spending on your bill. + This is a smart TV, which means you can access the internet and download applications. Why We Liked It - We like this TV so much because it has more ports than anyone could ever need. You'll never run out of fun with this smart TV! Not bothered about 4K? You might be interested in these standard resolution 65-inch TVs under $1000. Samsung continues to bring the top of the line in 65" 4K TVs with the UN65MU8000 model. With all kinds of unique features, it's hard to imagine that there would be much competition willing to try to make a better model than this one! Samsung always prides themselves on their excellently massive array of colors. The Samsung UN65MU8000 claims to have literally a billion more shades of colors than the average 4K TV. If that doesn't impress you, we don't know what will! Another great feature about this TV happens to be another strong suit of Samsung's. It's incredibly energy efficient, even more so than a lot of their other models on the market. If you're looking for color paired with savings, this is your best bet! + Over a billion more color shades than other 4K TVs on the market. + Incredibly energy efficient to the point where it competes with other models of Samsung. + Ultra-thin for easy placement around the house or wherever else you could want a TV. Why We Liked It - The Samsung UN65MU8000 is an incredible work of art that hardly has any true competition that actually poses a threat. It's hard to beat over a billion shades of various colors! This Samsung 65" 4K TV features some very impressive technology. 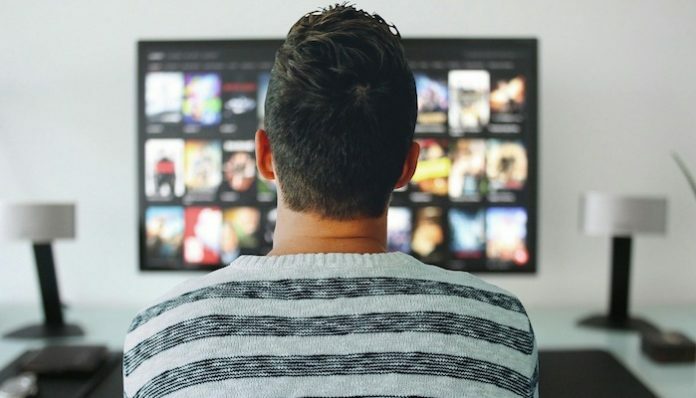 It's incredibly energy efficient, and it's also a smart TV which means it can access the internet and download apps like YouTube and Netflix. If you're like us and always have a hard time keeping up with 4 different remotes for the TV, then you'll love the universal remote that comes with it. The universal remote takes care of the TV, DVD player, and more! 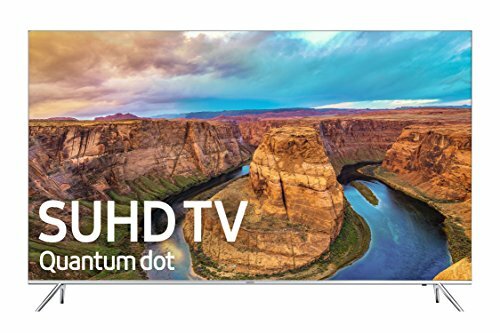 Oh, and we can't forget to mention that Samsung implemented their state of the art Quantum Dot Color Drive technology into this TV to give it the ultimate color display. You've never seen such a vast array of colors and textures before! + The UN65KS8500 is a smart TV, which means you can use it to watch all of your favorite apps. + The Quantum Dot Color Drive is Samsung's unique and beautiful color distinguishing system. + Use the universal remote to control everything that your TV needs to work properly. Why We Liked It - Samsung's technology continues to improve every year, and even their older models overshadow much of the modern technology. This model has everything you need to sit back and enjoy a beautiful advanced piece of technology. Another impressive model if you love a vast array of colors is the LG 65SJ8000. 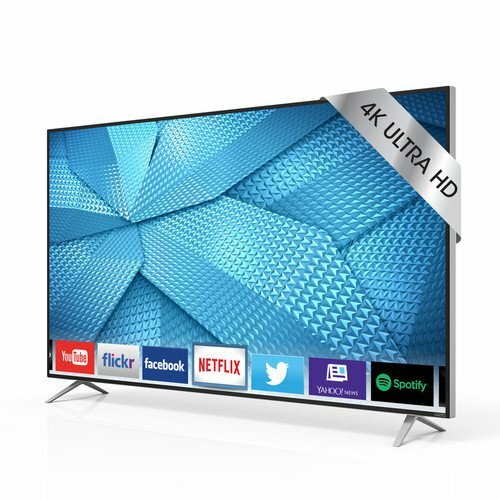 This 4K 65" TV is packed with some amazing technology to give you the most current and up to date features that you could look for in a TV. For starters, it features over a billion different shades of color. The human eye can hardly perceive that many colors, so you won't be limited whatsoever. This might be the furthest we will need to go in color TV technology, and it's here and now! The magic remote control can take control of everything you need to operate your TV without switching through a million different remotes. Isn't it annoying that losing one of your five remotes means you can't operate anything? It's a lot easier to keep track of only one remote! + The universal magic remote takes control of everything you need to operate your TV. + With over a billion different shades of color, you're literally seeing everything you can. + This ultra-thin TV can fit virtually anywhere you want it to be. Why We Liked It - LG continues to provide constantly improving levels of beautiful colors as well as universal remotes that make our lives that much easier. Curved TVs are becoming more and more popular because they engulf the viewer in the TV as if they were in the action. There's nothing like a beautiful curved TV paired with surround sound speakers to top off an amazing thriller! If you're looking for a top of the line smart TV, look no further. The Samsung UN65KU6500 features everything that any smart TV could, from Netflix to surfing the web at free will. Instead of being limited to a few apps, you have the world at your fingertips. Another cool feature of this TV is that fact that it features wildly impressive color definition. Time and time again, Samsung provides the best color definition compared to almost any other type of TV. + This is a smart TV, meaning you can search the internet, browse your favorites, and more. + The best color comes from Samsung's 4k 65" TV line up since no others are quite the same. + If you want one of the best-curved TVs in the world, the UN65KU6500 is a great choice. Why We Liked It -Samsung's curved TVs are some of the most beautifully immersive TVs in the world. They continue to impress by pulling in the viewer to make you feel like part of the movie. 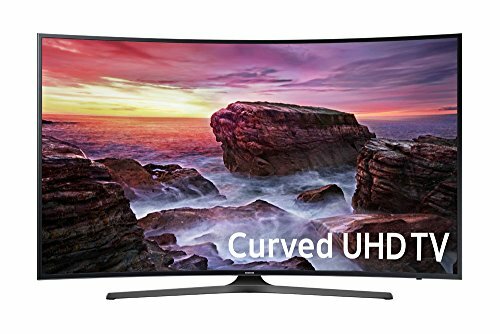 Another great curved 4K 65" TV by Samsung is the Samsung Electronics UN65MU6500. This TV features everything that its predecessor has, with a few added features to make the experience all the more enjoyable. This curved TV features the OneRemote, which is Samsung's version of a universal remote. Instead of worrying about losing one of your remotes under the sofa and the other in a different room, you only have to keep track of the OneRemote. The Motion Rate 120 technology featured with this TV keeps you up to date with the fastest speeds available. This means you'll see all the live TV when it happens, at the pace that it all goes down. No more worrying about being behind on your shows! + Beautiful curved display to immerse you in the TV show you're watching. + The OneRemote takes away the stress of keeping track of too many remotes. + Motion Rate 120 technology to keep you up to speed on all your favorite TV moments. Why We Liked It - We like the Samsung UN65MU6500 so much because it has everything that a modern TV should. It's a smart TV, it's curved, it has quick Motion 120 speeds, and the OneRemote wraps it all up! One of Samsung's most budget-friendly 4k 65" TVs is the Samsung UN65KU7000 model. It's a smart TV that still manages to stay under budget and prevent buyer's remorse. It's amazing that we can now have access to the greatest TV technology around without breaking the bank! The Samsung UN65KU7000 features all the special additions that a smart TV set brings to television. This includes the ability to download your favorite viewing apps as well as surfing the web at incredible speeds without slowing down a cable. If you're someone who needs a lot of compatibility connections, this model has 3 HDMI ports and 2 USB ports, which is more than enough for most of us! You can connect your game systems, laptops, and more. + Budget-friendly price brings you the best modern tech without breaking the bank. + It's a smart TV, which lets you access the entire internet right from your TV set. + The 3 HDMI ports and 2 USB ports give you all the connections you could need. 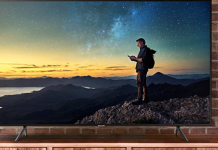 Why We Liked It -We like the Samsung UN65KU7000 so much because it somehow manages to have all of the awesome features of a smart TV and a 4K 65" setup without costing thousands of dollars. After viewing all of these 4K 65" TVs under 1500 dollars, you probably still want some clarification. Sometimes it might seem like they all blend together, and features overlap from model to model. TV companies don't always do a great job at making their specifications make sense to us all! Fortunately, we've decided to make this buyer's guide to clear things up for you to help you select the best 4K TV for your household. There's a lot of different things to look for in a 65 inch 4K TV. For starters, you have to know what you want to use it for. If you're just looking for a regular good old fashioned TV, then you can skip the smart TVs and go to some of the other models. However, smart TVs have some pretty unique capabilities that always come in handy when you need them. Netflix is quickly taking over regular television, and it's often much cheaper as well. Having the ability to watch Netflix on a smart TV is a really nice commodity! 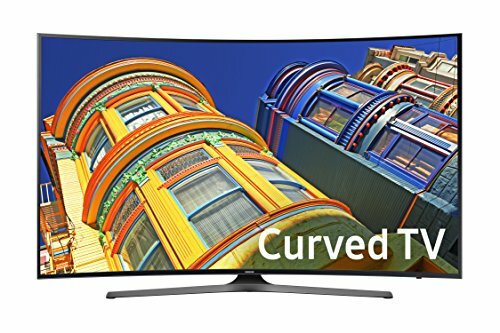 Another thing to look for in a TV is whether or not you want it to be curved. A lot of people prefer curved TVs because they seem to immerse the viewer much more, and they bring you into the show you're watching. However, some people feel like curved TVs cut off part of the point of view for people sitting on the sides. They might not be the best option if you have a larger viewing room that needs a large plain of vision. One of the greatest things that you should always try to get with your 4K TV is a universal remote. Samsung calls theirs the OneRemote, but many other companies have their own version of it as well. Having a universal remote makes it much easier for you to navigate through your TV's settings without having to switch remotes and keep track of them all the time. All in all, there's a lot of things to consider when you decide that it's time to buy a new TV. Instead of leaving you to the thousands of different options, we wanted to give you the best from the top brands and models in the world. Figure out what suits your situation best, and enjoy some of the greatest technological advancements in television history! 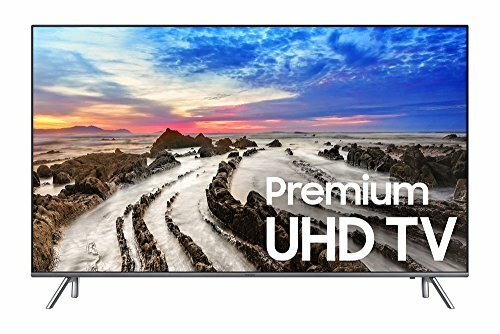 The Samsung UN65KU6500 is definitely the best bang for your buck in 65 inch 4K TVs under 1500 dollars. It has everything you could want in a modern TV without making you spend an arm and a leg to get it. 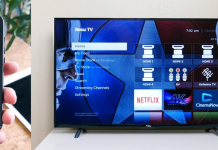 This TV is a smart TV, which means you can access the internet, surf the web, download many TV viewing apps such as YouTube and Netflix, and more. Smart TVs are future technology, so now is the time to get your hands on one! On top of that, the Samsung UN65KU6500 is a curved TV, which allows you to be enveloped by the shows and movies you're viewing. It's a truly magical experience that must be seen to be believed. The greatest part about it all is that Samsung always has their special color technology that allows you to see billions of different color shades all from your couch. Your favorite shows will now pop into real life like never before. 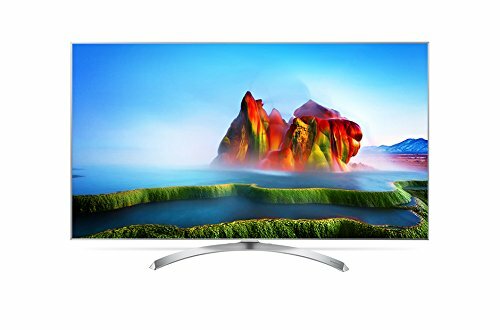 All in all, the Samsung UN65KU6500 beats any other 65 inch 4K TV because Samsung has always managed to remain energy efficient in their television sets. What's the point of buying a TV just to have a monthly bill over $100 for using it? Luckily, Samsung saw this issue and fixed it without increasing the price of the TV itself. 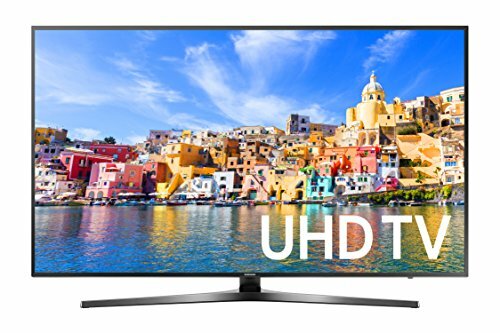 If you're looking to save money on energy while enjoying the best TV set around, then the Samsung UN65KU6500 is worth a look!